The results of the European election in West Oxfordshire have been announced. The Conservatives came first, UKIP second, and Labour third. Labour were just ahead of the Green Party, who pushed the Lib Dems into fifth place. West Oxfordshire saw a turnout of 38.64%. Europe-wide, turnout is estimated to have been around 43.11%. However, not all results have yet been counted, as some countries did not see their polls close until this evening. For up-to-date details of the results across the south-east region, see here. 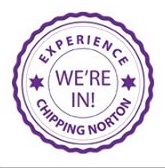 This entry was posted in news and tagged Chipping Norton, European elections, parties, results, south-east, West Oxfordshire. Bookmark the permalink.